For the half clear tent,it can be easily installed in parties, parks, amusement centers, backyard, gardens,anywhere as you want. And it's easy assemble and put away, carrying, What's more, is cheaper and safer than steel or concrete solid buildings. 1. We will reply you letter as soon as we receive your messages. 2. Skype and phone is 24 hours opening for you. We provide low price and high quality inflatable items for you. 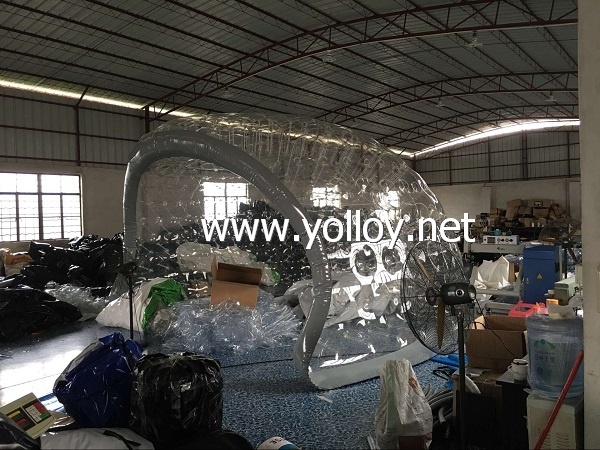 The design, size and color can be made as your requirements, we have experienced designers to help you to design a satisfactory inflatable half clear tent. What you need to do? Please just tell us your ideas!